Integrated Management System of vessels that optimally enables effective management and maintenance of the vessel, equipment, crew, certificates, captures, requirements documentation and port entries, easily and intuitively. Altum Ingeniería y Servicios and Eurolink Consultores S.A. are Consulting firms. 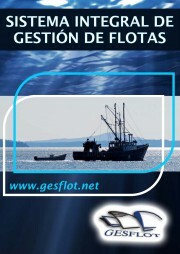 They join forces to offer the market a comprehensive solution for the management of fleets of ships GESFLOT is already working in several vessels, where clients have installed different modules according to their necessities: maintenance, crew management, log book, purchasing, documents, etc. ALTUM also offer to shipowners, services of Technical Management of vessels, under GESFLOT platform.